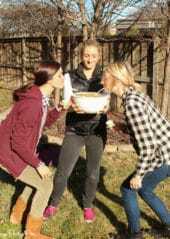 We played these birthday party games with both kids and adults right after doing this birthday scavenger hunt with the kids! 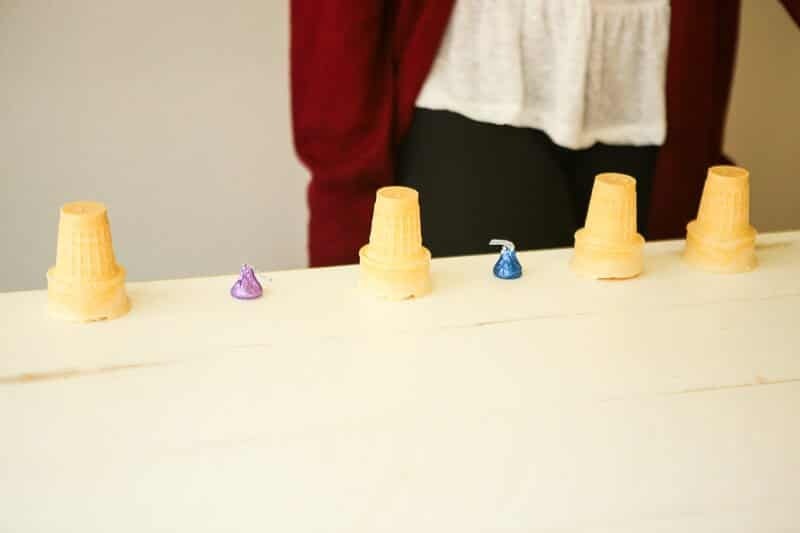 If you’re playing these birthday games with just kids – use candy or little prizes for the games. 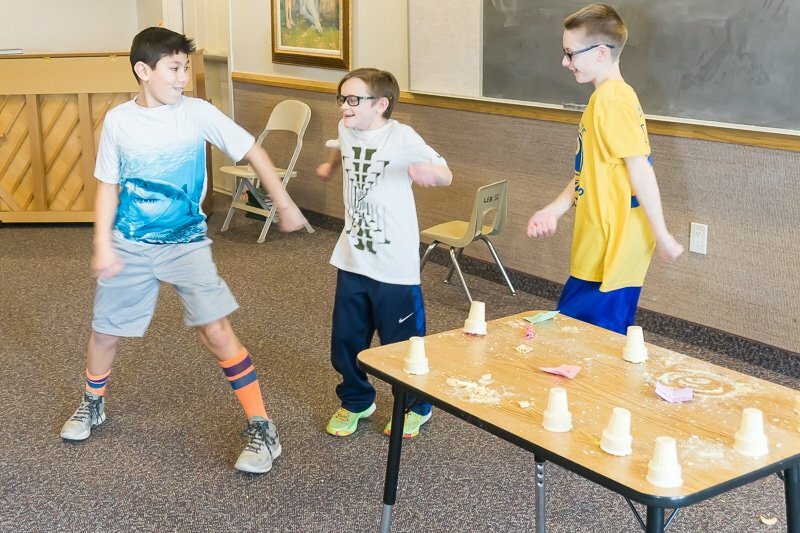 If you’re playing these games with adults, try bigger prizes, gift cards, or even cash! 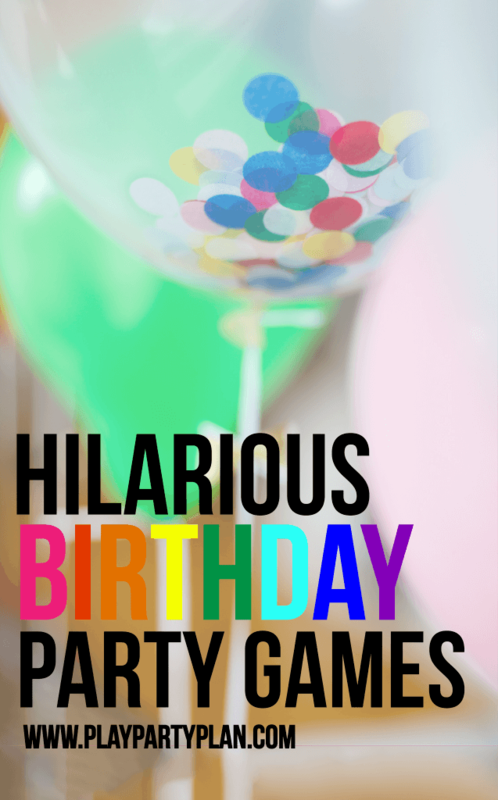 So really you can play these hilarious birthday party games with pretty much anyone who likes games even if it’s a 50th birthday party! This was one of my absolute favorite games to play when I was a kid so I knew everyone would love it, and they did! If you’re playing with younger kids, get rid of the stealing aspect of the game or make sure that everyone ends up with the same number of candy bars! Put all of the candy bars in the middle of the table or on the floor and have people sit in a circle around them. One person rolls the dice. If they roll a 7 or 11, they get to pick a candy bar from the middle of the circle or steal a candy bar from someone else who has already picked one. If they roll doubles, they get to roll again. If they roll anything else, they pass the dice to the next person in the circle. 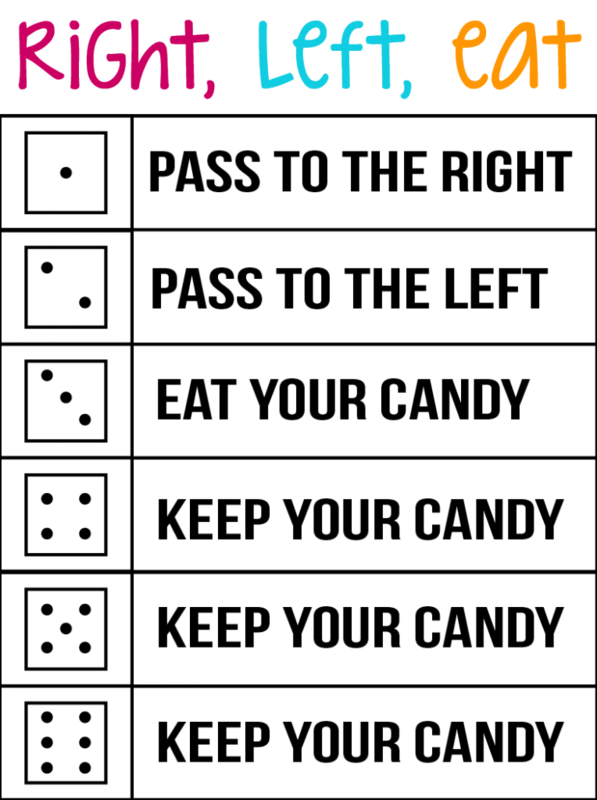 Continue rolling the dice and choosing/stealing candy bars until all of the candy is gone. Once all the candy is gone, you can either end the game right away this like dice gift exchange game or do one more roll for every person in the circle. 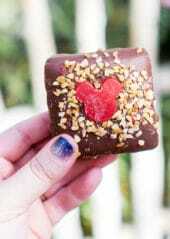 Note: When someone picks a candy bar from the middle, they can hide it behind their back. If someone wants to steal a candy bar, they must be able to say which candy bar they want from who correctly. If they guess incorrectly, they lose out on their turn to steal/choose a candy bar. This works best for older kids or adults, skip this rule for younger kids. Before the party, print out a handful of the printable cards for the game. They have instructions for the game and will make it a lot easier for everyone to play. 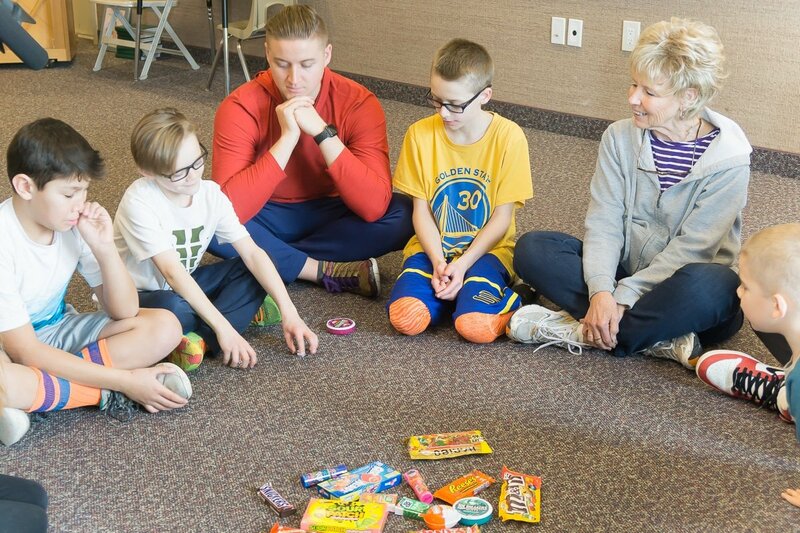 To play, give everyone three pieces of candy and have them sit in a large circle either on the ground or at a table. Starting with the birthday guest of honor, have them roll as many dice as they have pieces of candy, up to three. So on their first roll with three pieces of candy, they would roll three dice. If they have one piece of candy left, they would roll one die. 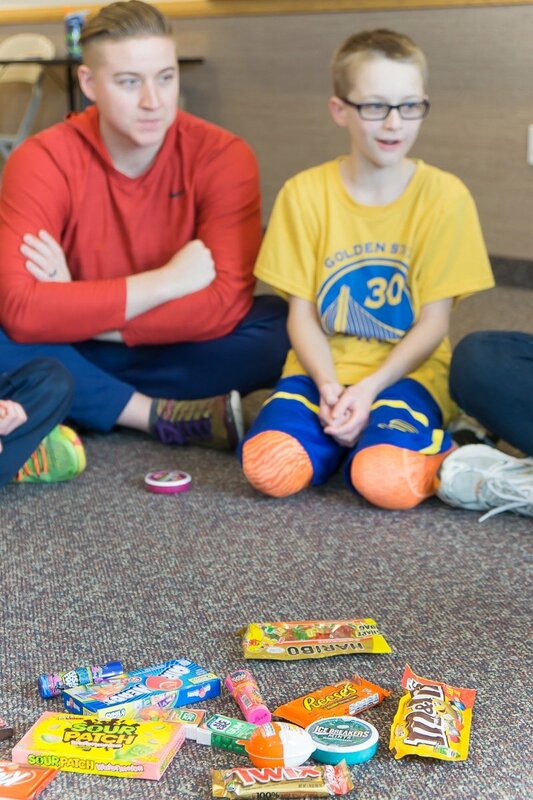 Take the corresponding actions to what is rolled on the dice – if they roll a 1, pass the candy to the right. If they roll a 2, pass the candy to the left. If they roll a 3, they get to eat the candy. And if they roll a 4, 5, or 6, they keep their candy. They only need to pass one piece of candy for each die rolled. So if they rolled one 1, one 2, and one 6, they would pass one candy left, one candy right, and keep one candy. After passing the candy, pass the dice to the person on the right and they roll. Continue passing the dice around the circle letting people roll, passing or eating the candy until only one person is left with candy. That person wins the game and a small prize. 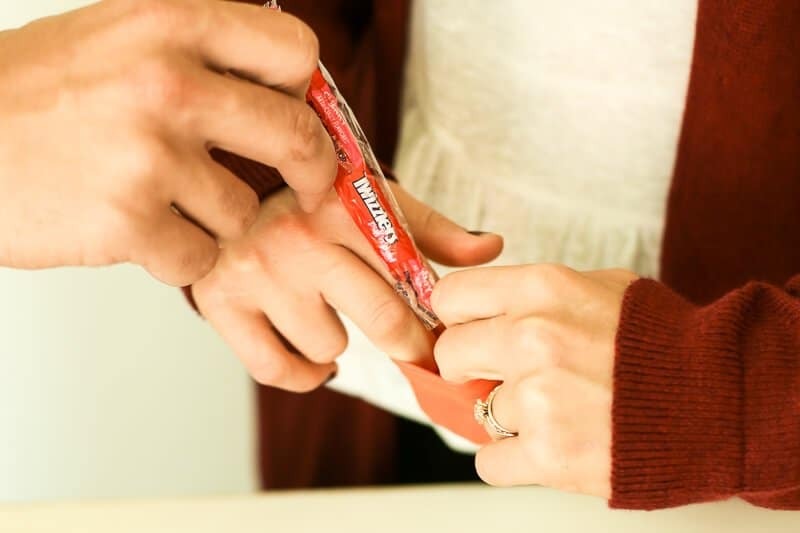 Note: If someone runs out of candy because they passed it or ate it, they should stay in the circle because someone on their side may end up passing a piece of candy to them on a future roll. Enter your first name and email address in the form below to get the printable. If the form isn’t showing up below, click here to get to the form to download the printable files. 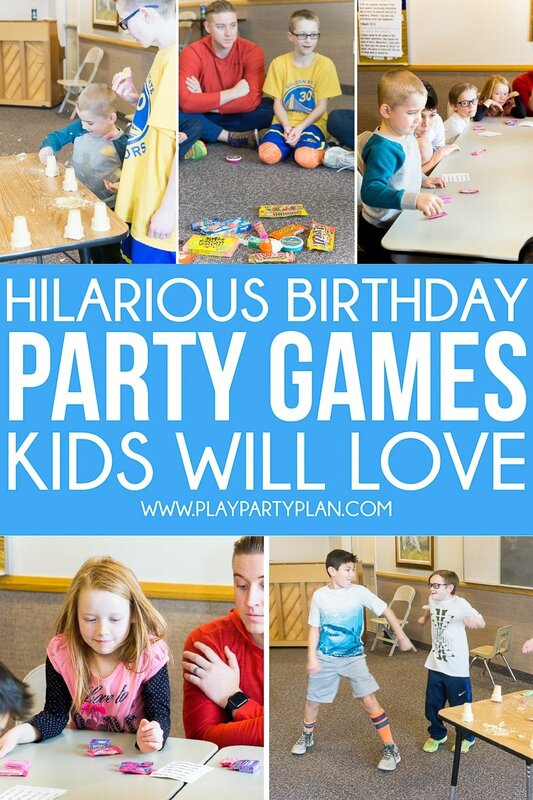 Don’t forget to pin these birthday party games for later! 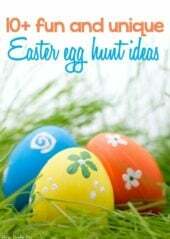 Awesome, fun ideas! Thanks so much for sharing! These games look fun and hilarious. Thanks for sharing. I love these ideas! I’ll be using them for my daughters party next week! I didn’t even look at your nails…some people are just RUDE! Great post – thanks for such clever games! Hadn’t heard of any of these before! I’m so excited I happened upon this page! I plan to try some of these at our end of year party! I’m also wishing I would have seen this sooner and would have modified some for my husband’s 40th birthday party last night! These are great! These are the best ideas ever! So excited for my 12 year olds bday now! This makes me happy! I hope you had a lot of fun together. 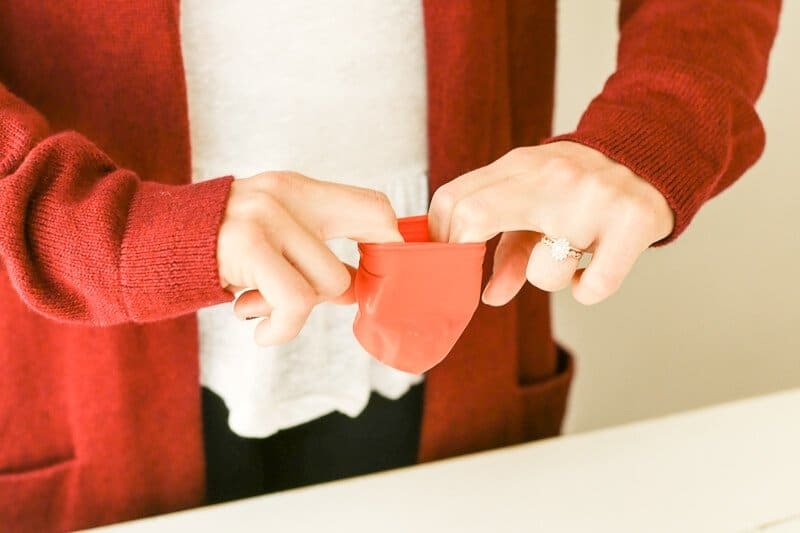 What about on the balloon pop game, put pieces of.paper with a prize written on it or like paper tokens to go to a prize bag. 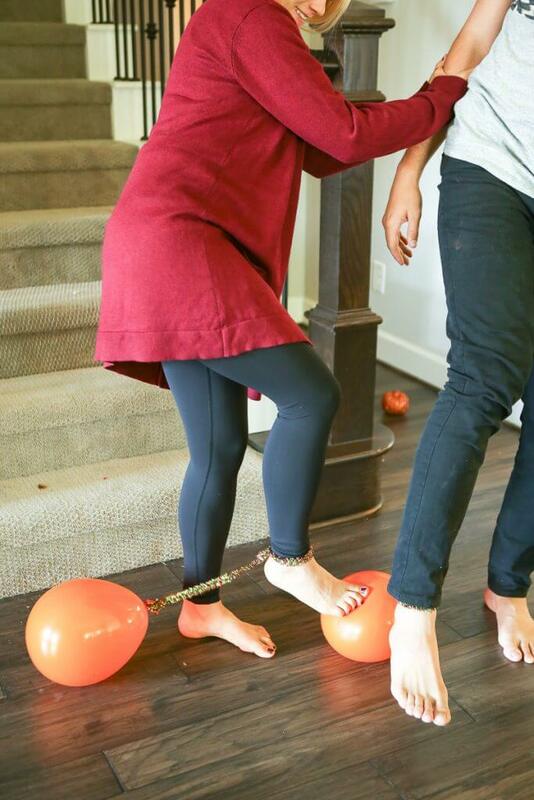 No worry about hurting any feet or smashing any candy. That’s a great alternative Eleanor! 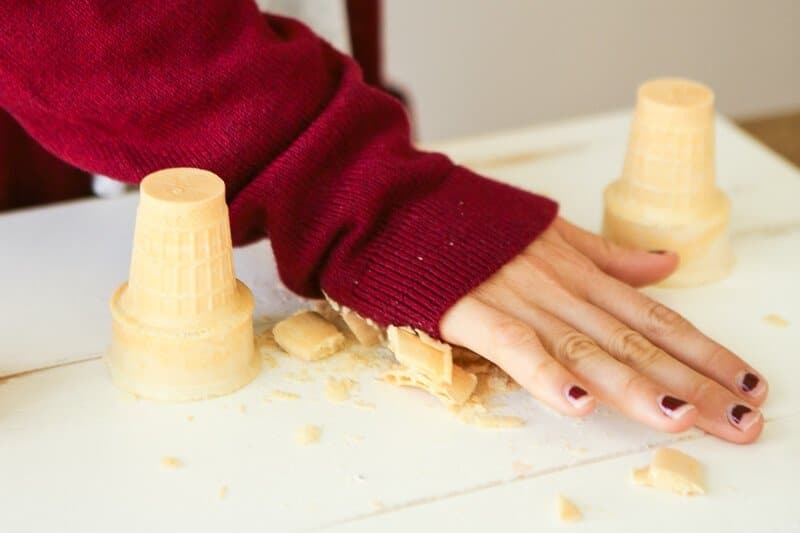 Great ideas and fun games for my sons next birthday party! Would there be a place for me to buy other alternative games too? I don’t have anywhere to buy alternative games but any of these board games might work –> https://www.playpartyplan.com/best-board-games-for-groups/. Thank you Britniv! I really appreciate the link you shared. 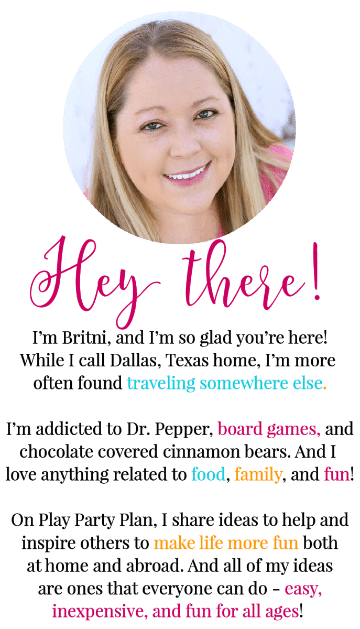 I love your blogs, I have so much fun games that I can’t wait to try out with my boys. thank you for sharing ideas on these fun games. My kids and their friends love playing games together and it’s always great to come up with new games for them. Your welcome, hope your family has a lot of fun!